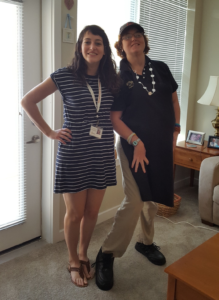 Impact – Abby’s Story | Service Coordination, Inc.
Abby is a 35-year-old female that has a diagnosis of Cerebral Palsy. Abby receives Supported Employment services from Abilities Network and works at Wegman’s. In the future, Abby wants to be the manager of a coffee shop. Abby was living in a Richcroft residential site for over ten years. During the preparation process for Abby’s PCP meeting, she expressed no longer wanting to live at the house. Abby and the team worked together to find Abby a home she liked that was also safe and affordable. Abby now lives independently in an apartment. Abby receives thirty-five hours per week of drop-in supports. When asked about her apartment, Abby could not contain her excitement about how much she has been enjoying living there. Abby plans to have an “open house” event soon to show all of her family and friends how much she loves her new home.